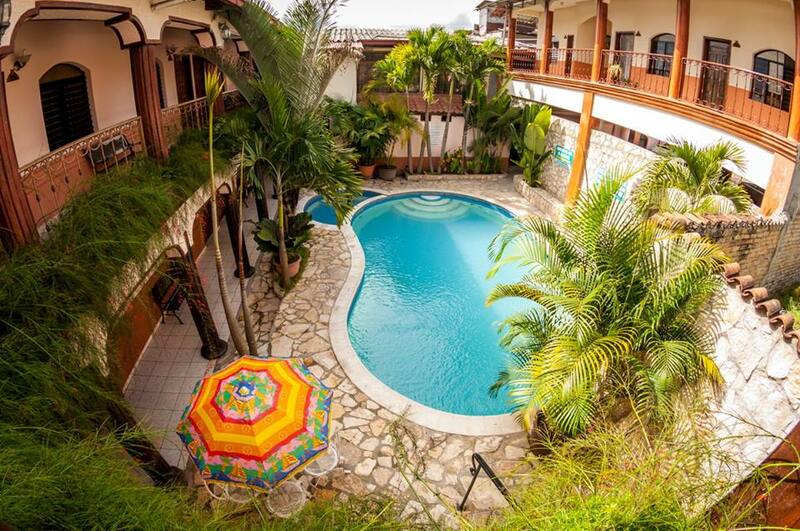 There are many alternatives to choose from when it comes to Santa Rosa de Copan Hotels. As a general rule, my suggestion is that you should look for a hotel in the downtown area. The city is small, safe to walk in, and with many nice restaurants and bars. If you stay at one of the roadside hotels, you will need a car or a taxi to go into town. This is the grand dame of hotels in Santa Rosa de Copan. It has been around for over six decades . The owners have kept the property up to date, renovated and improving it over they years. Currently they have a French chef running the hotel and offering some great food at the restaurant. Its 43 rooms and suites are pleasant, and with all the amenities you need. The location is great! Within walking distance of Central Park and the many different cafes, bars and restaurants in town. You cannot go wrong at the Hotel Elvir. One of the newer hotels in town, the Hotel San Jorge has a great location in town. They feature some of the largest and most spacious rooms in town. Bathrooms are also large. The hotel is sparkling clean, and the customer service is outstanding. Owners will go out of their way to make your stay pleasant. The owner / manager, Jorge is fluent in English. 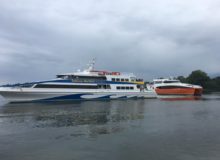 He can help you arrange tours and provide local information. 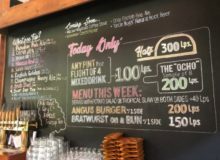 Breakfast is included in the rate and served in their restaurant on the ground floor. 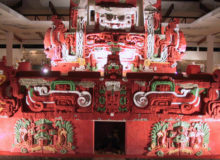 A gourmet restaurant featuring Copan Specialty Cuisine. One of the best alternatives in town. Within walking distance of places of interest in town and yet right on the exit of town. Casa Real offers spacious suites, the nicest in town and the best extended stay alternatives in town. However, many of their regular rooms are small. They also have a lovely pool area and a great restaurant, Casa Romero. Hotel Casa Real is one of the best options in town. 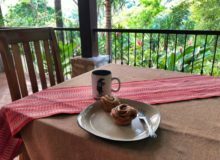 The one and only true bed and breakfast in Santa Rosa de Copan. La Posada de Juan is on the outskirts of town, close to el Cerrito Park and the Catholic University. It is within walking distance of all restaurants in town. It offers a pleasant, homey atmosphere. 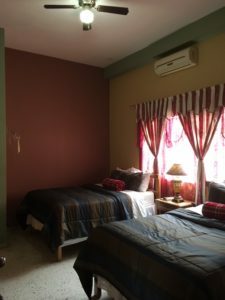 The owners, Juan and Conchita are gracious hosts and will make you feel like a treasured guest. Their five rooms are each unique and pleasant. 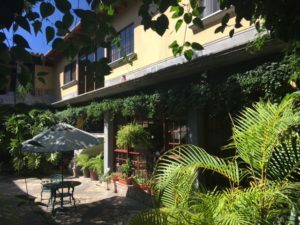 If you are looking for a Bed and Breakfast atmosphere in Santa Rosa, look no more! A small hotel with a variety of rooms. 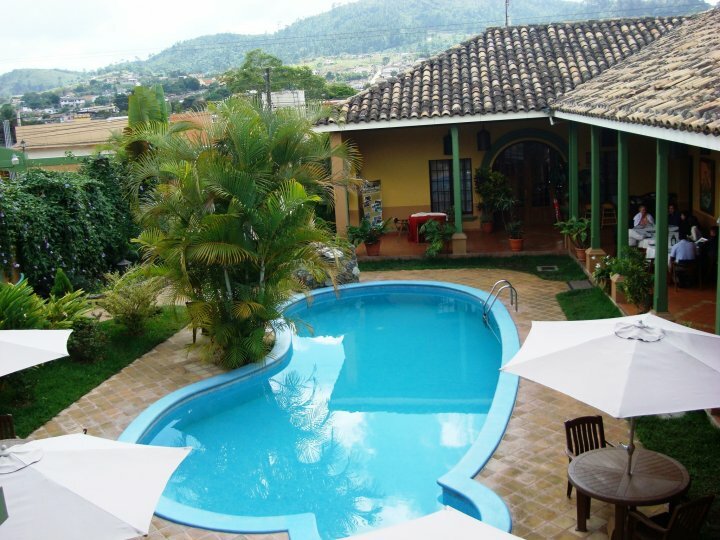 The Karolina Boutique Hotel has a great location in Santa Rosa de Copan. You will find that you need to go up some narrow stairs to get to most of the rooms. The hotel staff is friendly, yet I would not call this a Boutique Hotel. Rooms are small, bathrooms are tiny and many rooms have the electric shower head. The property has a lovely terrace on the top floor with a magnificent view of Santa Rosa de Copan. The room rae includes breakfast. 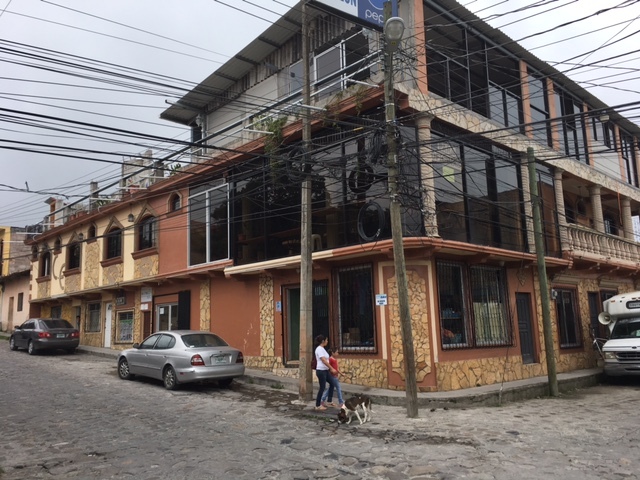 One of the newer Santa Rosa de Copan Hotels. The Gran Hotel Plaza is in a modern building on the main CA4 highway. That highway connects Santa Rosa de Copan with San Pedro Sula to the east and Nueva Ocotepeque to the West. The hotels shares the building with a supermarket and a commercial area. These two are on the ground floor. They also have some extended stay apartments on the top floor. The hotel rooms are on the first floor of the building. Rooms are modern, spacious, clean and comfortable. The hotel does not have a restaurant. 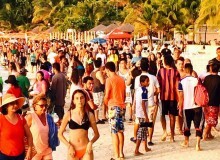 Yet the location offers plenty of nearby eateries and restaurants. 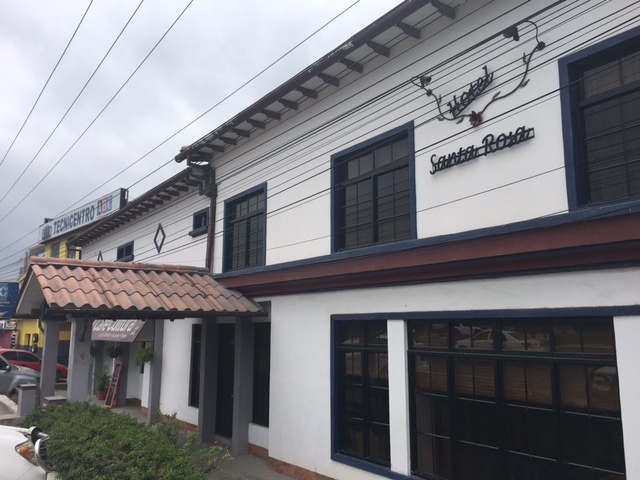 The hotel is right across the highway from the Santa Rosa de Copan main bus terminal. Ask for a room towards the back of the building for a quieter stay. Spacious parking on the basement. 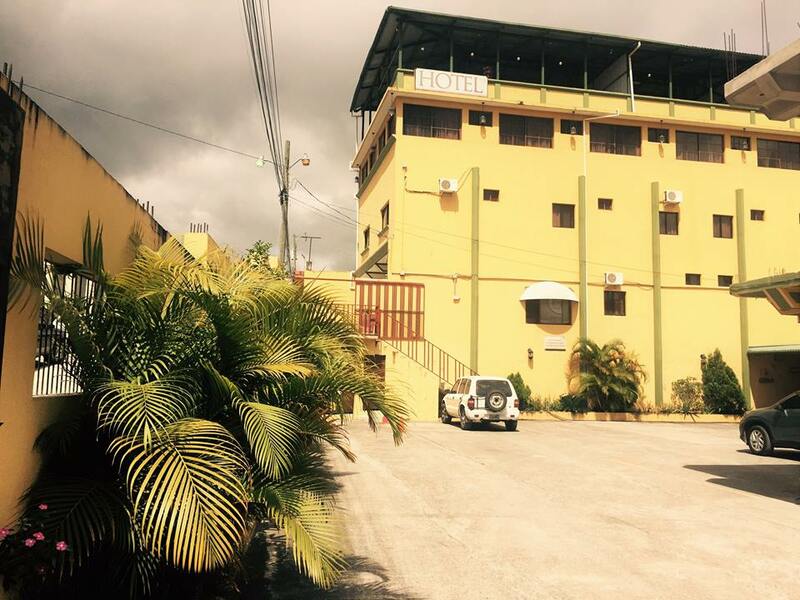 Located next to the Gran Hotel Plaza, this hotel is on the second floor of a commercial plaza. The lobby and rooms are up a flight of stairs. Rooms are spacious and clean. Not much more than good rooms as far as the hotel goes. The roadside location offers access to a diversity of basic eateries along the road. There are good parking facilities. Hotel Plaza Miraflores is a favorite for business people visiting Santa Rosa de Copan. Located across the junction on CA4 where the main entrance to Santa Rosa de Copan is. The hotel has a nice setting with spacious rooms. 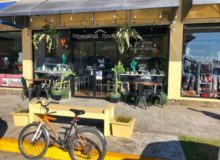 They offer a full service restaurant and coffee shop as well as an interior garden. Service is friendly and staff helpful. They have a small pool in the back; Yet it is in dire need of maintenance! Located at the entrance to Santa Rosa de Copan. 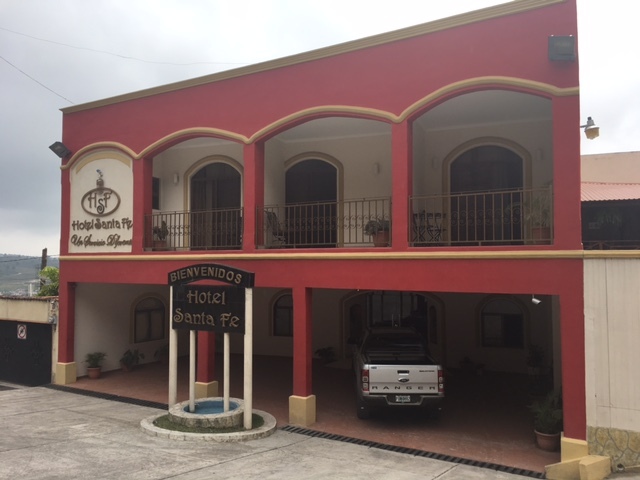 Hotel Santa Fe is a pleasant small hotel that is halfways between the road and downtown Santa Rosa. It now has a full service restaurant, as well as a small meeting room. Rooms and suites are comfortable and quite large. 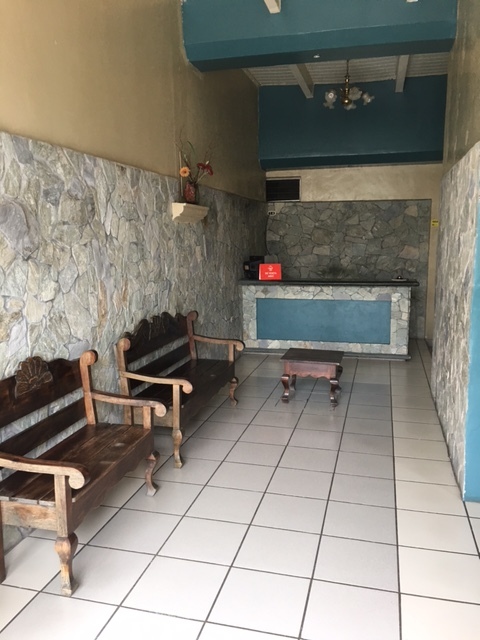 A small, tipical Central American property located downtown Santa Rosa de Copan. 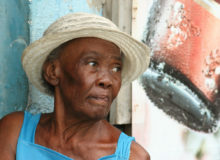 It is almost across the street from the San Jorge Hotel. This is a no frills property. In my opinion, the property has no charm and is nothing special. They do have a small restaurant. 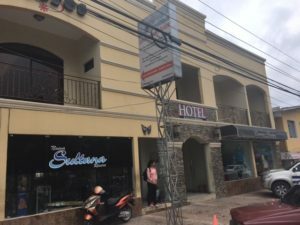 Alondras Tu Hotel is a good alternative for a budget stay in Santa Rosa de Copan. 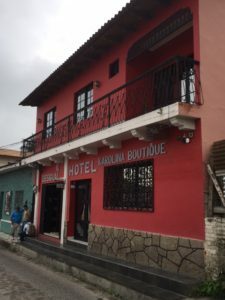 Located one block from the Hotel San Jorge in downtown Santa Rosa de Copan. The building looks like they have added on to the original construction site on a couple of occasions. The hotel Escalon looks nicer on the outside that what it is. Rooms are small, hallways are narrow, bathrooms are small. 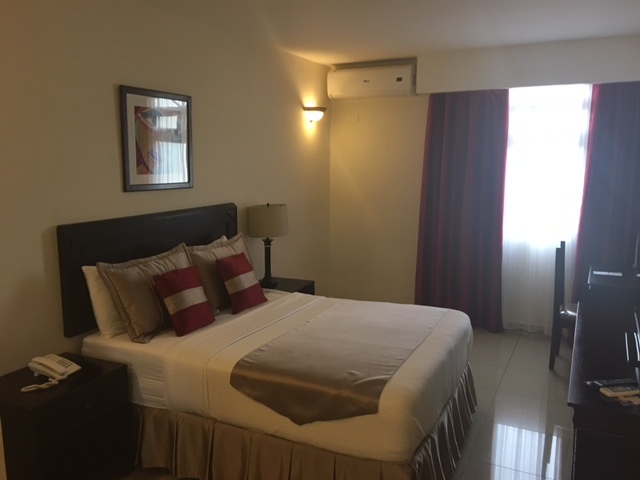 On the outside end of the downtown area, Posada El Libertador offers some nice rooms. Staff is friendly and always willing to help you with your needs. Rates include breakfast. One of the better deals in town. 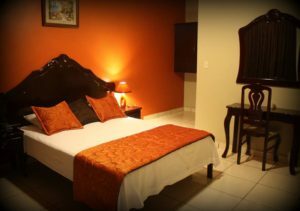 Rooms are always clean, well decorated and cheerful. On paper the Hotel VIP Copan seems like a great option: a nice pool in the central courtyard, a good downtown location, and reasonable rates. Yet the truth is that some of the rooms are very dark, and those around the pool can be noisy. The hotel has seen better times and could use some renovating. Staff is not English speaking and not that friendly either. The Posada Maya Hotel has a spacious parking area. Located on the outskirts of town, it offers the benefit of a quieter stay. It is also conveniently close to the CA 4 highway. 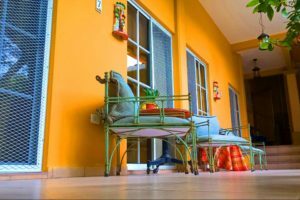 Posada Maya is a modern 3 story building with clean rooms. They do not have a restaurant on premises, so you will need to find your meals outside the hotel.